Raspberry and Chocolate Bars. YUM. Tugboat man and I stopped at a Boudin Bakery located in South Coast Plaza ‘cos he was famished — he doesn’t have the same kind of stamina that I’m blessed with — to keep going until that holy grail has been attained. Of course I’m speaking of shopping. We took a five minute break so the whingy one could have some sustenance – a little snack, a boost of energy — just enough to walk around the mall one more time. Christian Louboutin, Jimmy Choo, Hermes, Chanel. We shared a Raspberry Chocolate Bar that was SO unexpectedly mouthwatering I couldn’t wait to attempt a recreation. It’s in the oven now. Tugboat man and I’ll have a taste comparison to see if it measures up. OK, we patiently waited and enjoyed a square of my version of their Raspberry Chocolate Bar along with a cup of ginger tea. The verdict? DELICIOUS, but not EXACTLY the same, yet so good, it doesn’t really matter. In every bite there’s creamy rich chocolate along with the crunch of oats and zesty raspberry. SO GOOD. After firmly pressing bottom dough, spread with jam. Add the chocolate chips, yum! Carefully press top dough over jam. Golden brown, it takes a long time to cool and firm up before cutting and eating. Be patient! Tip: Refrigerate to hasten setting up. In a medium bowl, combine sugar, butter, oil. Beat with a mixer at medium speed until smooth. 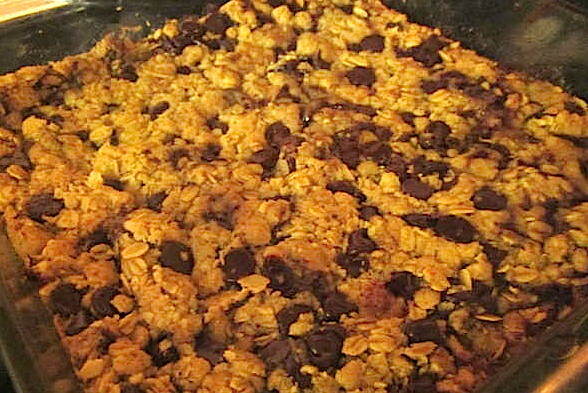 Add flour, oats, salt, baking powder and stir until well blended (mixture will be slightly crumbly.). 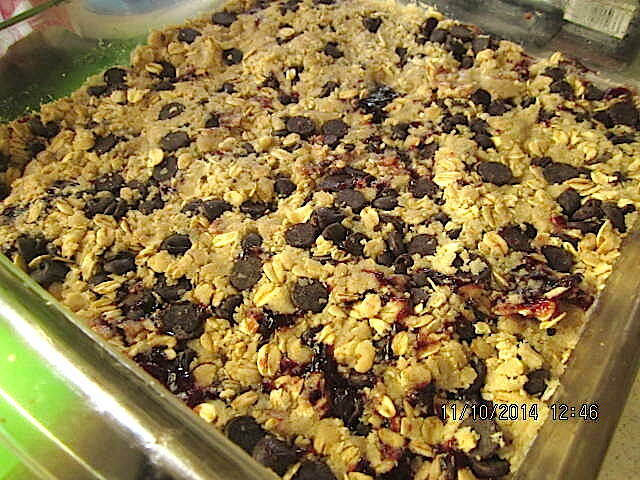 Remove 3/4 cup of dough; toss with chocolate chips. Set aside. 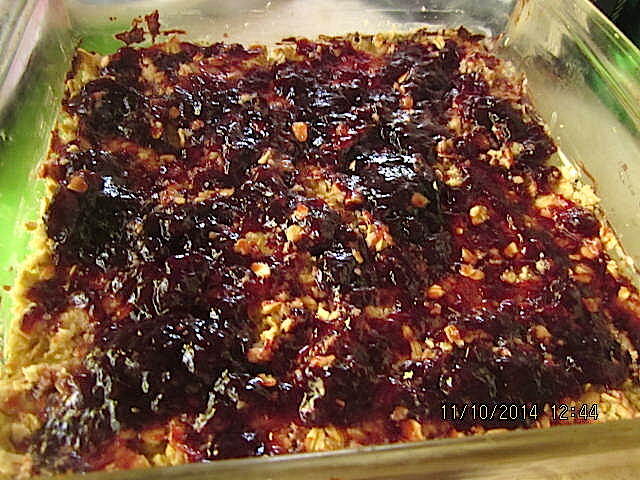 Press the remaining dough firmly into an 8-inch square baking pan, and spread evenly with jam. 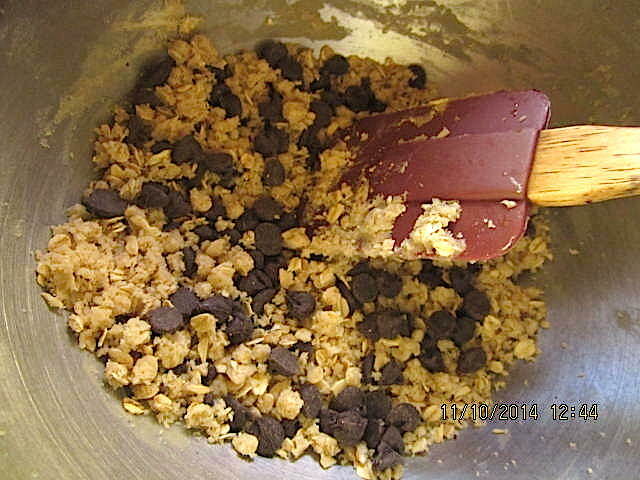 Sprinkle with chocolate chip mixture and again press firmly. Bake at 375° for thirty minutes or until golden brown. Cool completely on a wire rack before cutting into squares. 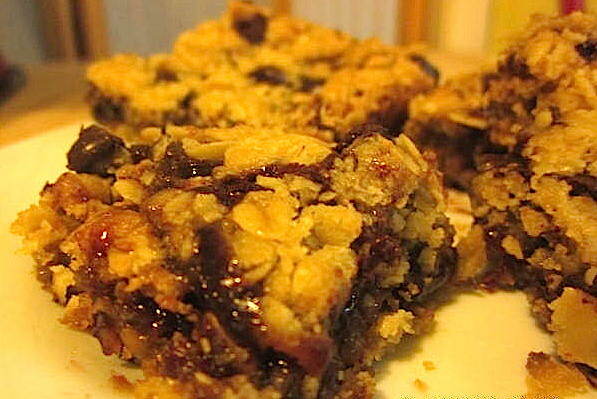 This entry was posted in All Posts, Recipes & Food, Mostly Vegan and tagged baking, Boudin Bakery, Chocolate, chocolate chips, Chocolate Raspberry, Desserts, Home Baking, Homemade desserts, Raspberry Chocolate Bar, Raspberry., Recipes, South Coast Plaza by Enchanted Seashells by Princess Rosebud. Bookmark the permalink. Small bites, tho, it can feed a lot of people!